This is the week! As I alluded to on Friday, we have decided to share our little girl's name with you. It's hard to keep a secret, plus we've grown accustom to referring to her by her name: Charlotte (Charlie for short). The Bump: Growing slow and steady. I'm sure I'm going to wake up one day soon with a sudden bump. Food Cravings: I don't crave anything on my own, but if I hear about something someone else is eating, I suddenly want that. Sleep: Sleeping pretty good these days thanks to "Mr. Snoogle"
What I miss: Feeling like me. I find myself getting frustrated with my new limitations both physically and mentally. Any Names Picked Out Yet: YES! Maternity Clothes: Still wearing a mix of maternity and my regular clothes. Best Moment of the Week: Knowing those tiny flutters where our little girl moving around. What I’m excited about/looking forward to: My anatomy appointment on the 20th! Love Charlotte! That was on our list of options, too. We have settled on a name for girl or boy (only one more week til we find out! ), but I don't think we are going to share it until he/she comes! You look fantastic girl. You look great! And Charlotte is one of my all time favorite names! We can NOT agree on boy names, so I fear this little dude will be nameless for quite some time :). Came across your blog from the FundayMonday linkup and so glad I did! 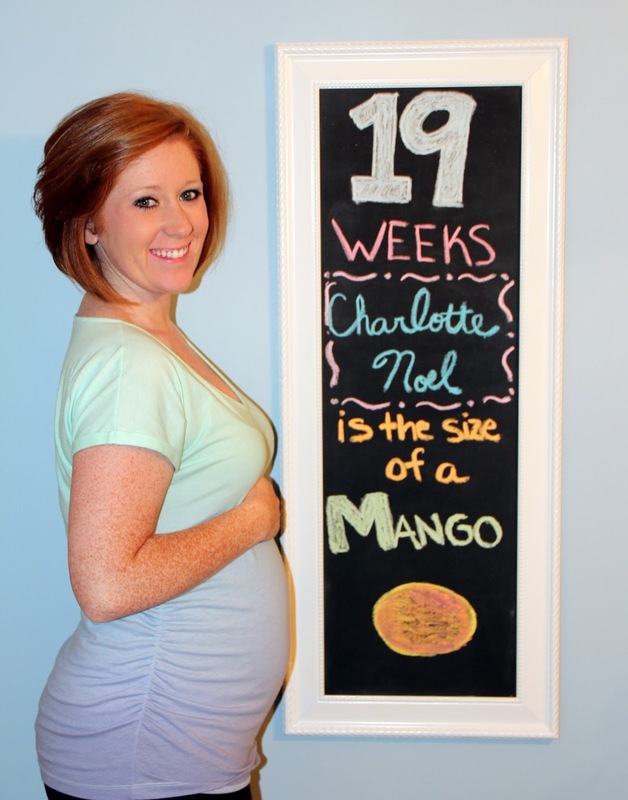 You're absolutely adorable and I'm excited to follow along your journey with little Charlotte! I know those first movements and knowing you have a growing, moving little being in there is amazing! YAY!!!!! this is so exciting! what a GORGEOUS GORGEOUS name! so perfect. Melissa, I love the name Charlotte! so exciting! !